We just rolled out an exciting update for your virtual collaboration workplace, which introduces the template library and more features designed to make your life easier and to speed up your work. With the new template library, you can jump right into the job and put more focus on your content. No need to create a board from scratch. Increase efficiency by using a template. Easily keep your boards consistent and professional. 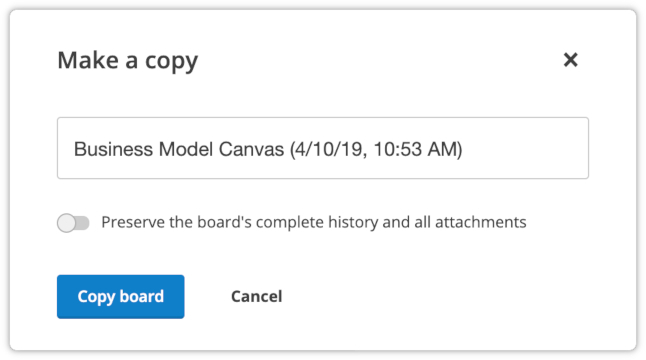 When creating a new board, you can choose whether you’d like to start with a blank board (default setting) or start with one of the available templates. And you can always add templates later on with the “insert content” option. 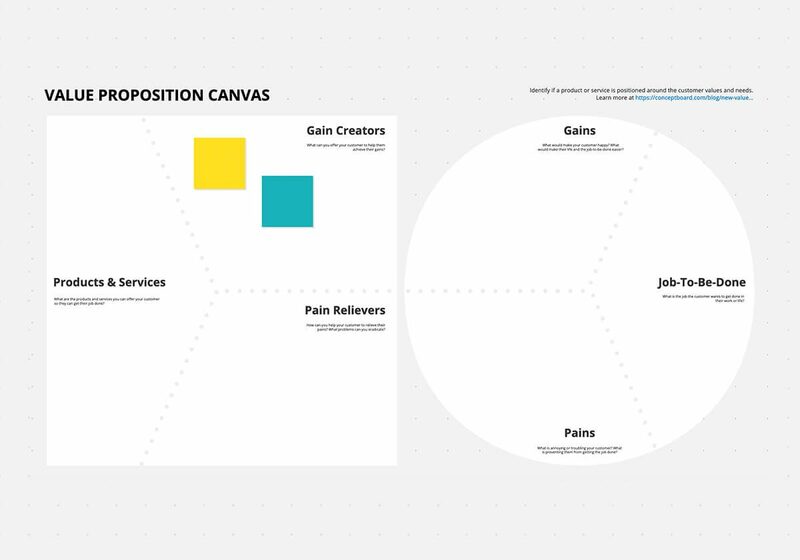 Take the Value Proposition Canvas for example: The template supports teams to think more in-depth about customer values and their experience. It puts the customer first and really helps you to understand them. 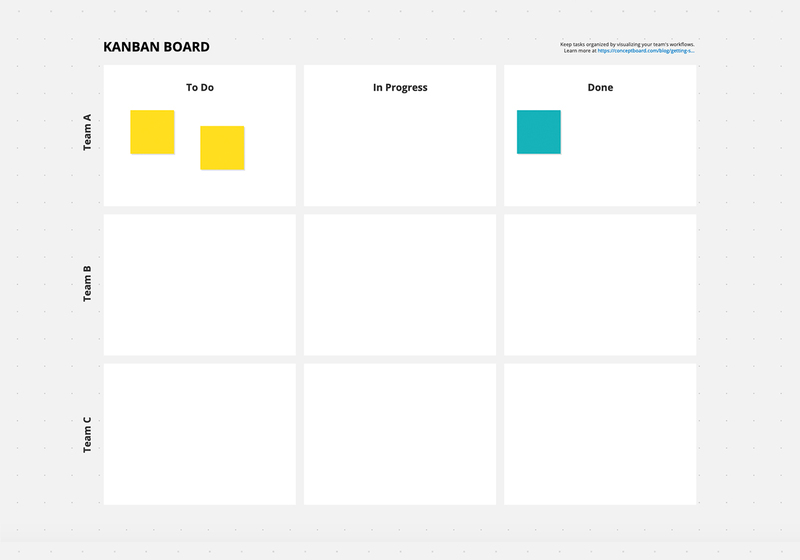 Or the Kanban Board is amazingly helpful for meetings and visualizes work. With a Kanban board, tasks and responsibilites are transparent within a team. Special tip: Use it to organize your own work. 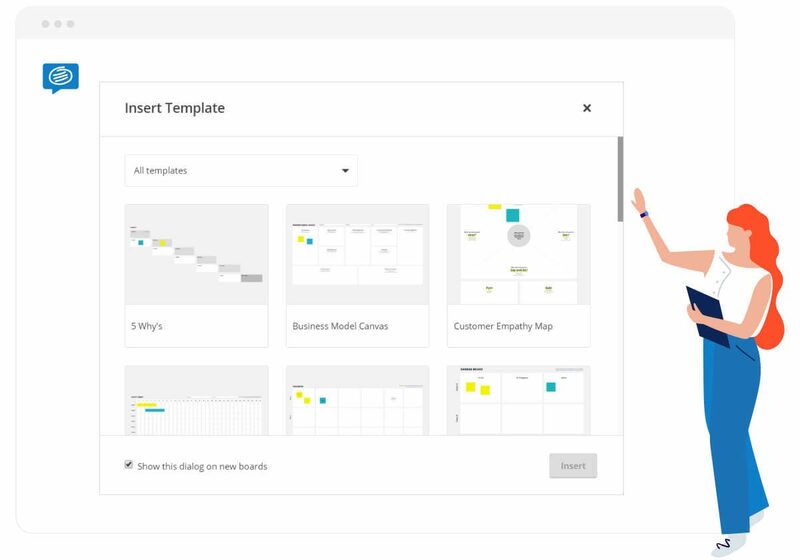 Take the templates for a spin and create a new board today. More templates will be released soon. So stay tuned! Access to projects is now more strictly defined. Only users that are part of the project will be able to move boards into that project. Therefore, the visibility of projects in the sidebar was changed. You now only see projects in the sidebar, where you are a project member. 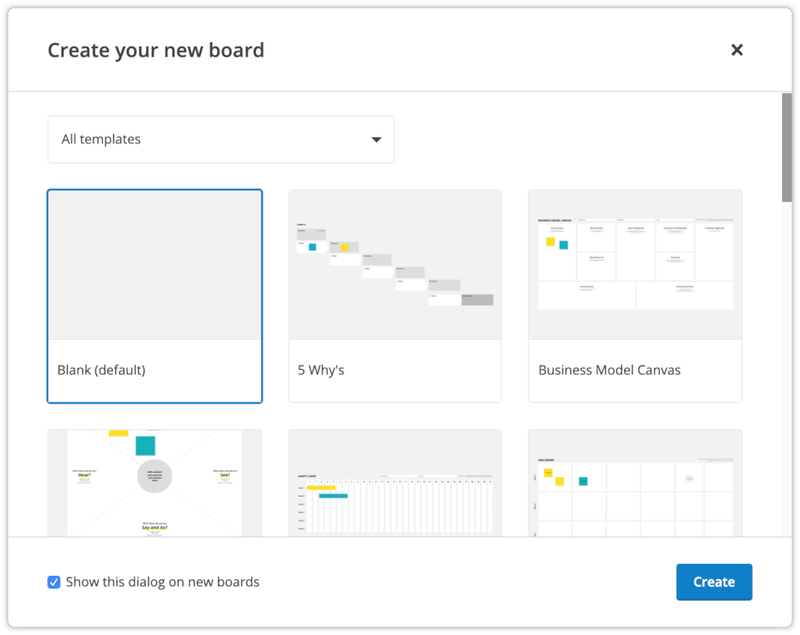 If you have access to one or more boards in a project, but are not a project member, you won’t see this project in the sidebar. 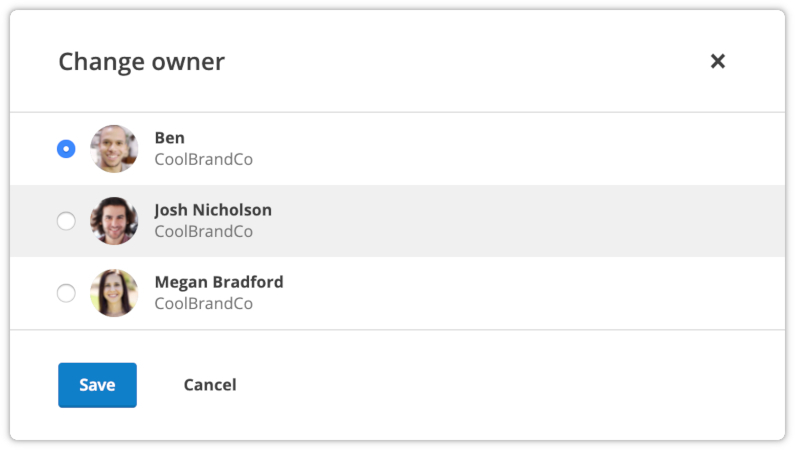 You can now transfer the ownership of a board to another user. The user to whom you want to give board ownership must already have access to the board. The same applies for project ownership, which can be transferred to another project member. Learn more about board ownership in the help center article about board settings. When duplicating a board or saving a copy, you can decide wether you want to keep the complete history and all attachments. By default, copying the history and attachments is disabled. More information about duplicating a board can be found in the help center. All boards automatically include the new features as of now. Want to know more? Our help center or our release notes are a good place to start. What do you think about the templates? Which templates should we publish next? Leave a comment or write us at support@conceptboard.com. Kathrin is part of the Marketing Team at Conceptboard. She has a passion for art, video games, yoga and a severe case of wanderlust.